The European Central Bank stayed on course to end bond purchases as a trade war between the European Union and U.S. was averted and economic expansion continues to be solid in the euro area. It reiterated continuing policy to buyback 30 billion euros (US$35 billion) of assets a month until the end of September, to reduce this pace to 15 billion euros a month from October, and to stop additional purchases at the end of the year. The ECB is making this decision one day after European Commission President Jean-Claude Juncker and U.S. President Donald Trump reached an agreement to lower barriers to transatlantic commerce, averting a trade war that would have seen levies imposed on American imports of European cars. ECB President Mario Draghi had named rising protectionism as the main risk for the area’s expansion prospects. At the same time, domestic growth is showing signs of recovery after a slowdown in the early part of 2018, with corporate lending gaining the most in 9 years as of June and consumer confidence well above its long-term average. 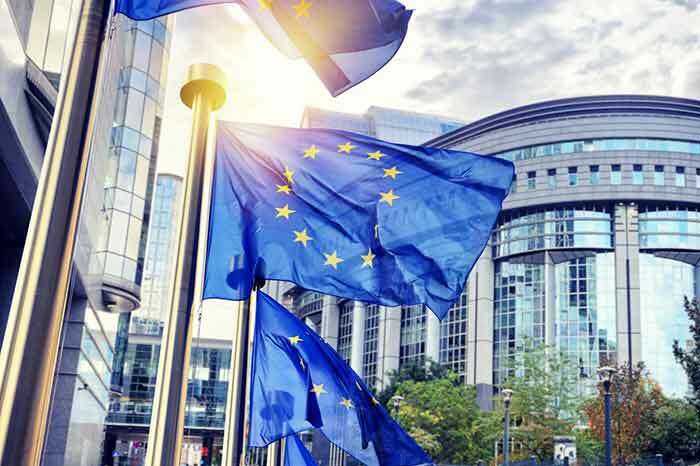 The Frankfurt-based institution also pledged to keep interest rates unchanged “at least through the summer of 2019”, although official translations of the ECB’s statement giving slightly different interpretations of what this phrase could mean has caused some confusion amongst investors. Surveyed economists predict a rate hike in September or October next year, whereas markets do not fully price in a 10 bps increase in rates until the end of 2019. The ECB also repeated that additional support for rates will come from its policy of reinvesting maturing debt, an area that the markets will watch closely once the Central Bank no longer buys new assets.